A simple enough task…choose a poem you have written that not longer than 12 lines and bring to discuss in first session. Fine only I decided I would stick to rule and proceeded to search backwards through everything I had written until I found something that could be a poem and under 12 lines…I searched and I did not find…back and back I went until finally found a snippet from 1987! I cannot be accused of unnecessary brevity then! 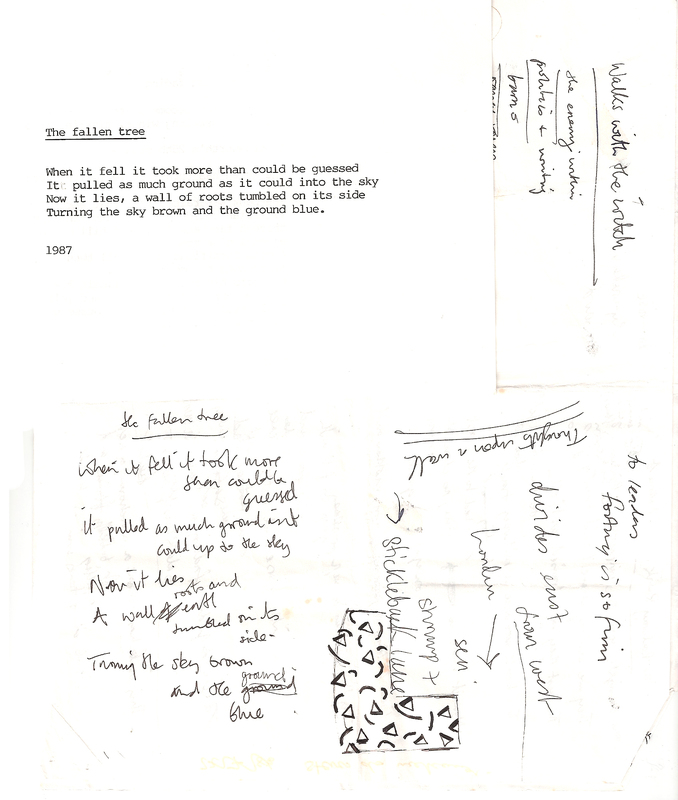 The ‘poem’ or snippet above is it…scanned in from the sketchbook pages it was on…at that time I would write ‘poetry’ next to observations and landscape drawings as I walked around the countryside. The reason I found it is because being a slightly OCD library type I keep everything and alongside the original sketches I found a rather poe-faced ‘introduction’ for whom I have no idea as at this time I had not been published and frankly had no idea if post-1990 I would ever write again. These poems span ten years of my life so collecting them together from the scraps of paper and badly typed manuscripts has been a rewarding experience. 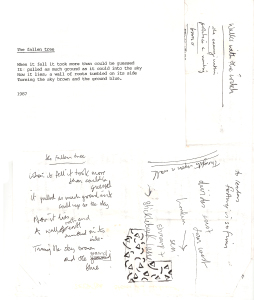 The early poems (The Tithe Machine) arose out of an interest in American poetry fostered by a travelling exhibition of books which came to my local Didcot library in 1981 the year after I left art-college in London. Little did I know then that I would continue to write but the seed was planted. These early fragments (I had no idea how to make them any longer) deal with aspects of the area I grew up in but also try and suggest if not surreal landscape at least something slightly askew. Poems like 'Valley' and 'Rehearsal' owe a lot to the Russian and French influences I was avidly consuming. They also reflect a lot of the painterly interests I had, Chagall, Gorky etc. Some I still like, some are awful. I am not so happy with the next set' The New Country', the title taken from that given to the 30's left book and exhibition. At the same time as I was writing these I had an exhibition called 'The New Country' at a gallery in Islington, London. Looking back the best I can say is that although far happier in free verse I felt that somehow it wasn't poetry or that if I didn't at least learn or attempt versification I could not call myself a poet. I feel differently now but maybe it reflects a lack of confidence in the role of 'poet' i.e. where I come from you don't do it! Having said that I find some of the content O.K. e.g. the drowned fisherman in 'The fisherman's return' but not the rhyming schemes, or my attempts at this and that. I think I at least gained some 'musicality' from this phase. Finally we come to 'Diesel on Gravel'. A collection of stuff written partly as a result of attending a workshop and working in a library and partly out of necessity when believe me the last thing on my mind was to attempt to be a poet, quite the opposite in fact! This lot I can put up with a lot more. Mostly the content has changed. 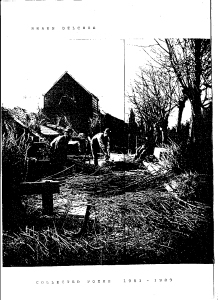 Moving out of the fields and concentrating on relationships and interiors which I hurtled through in these years. Hopefully they come over as being more honest than the rather studied exploration of English landscape that went before. 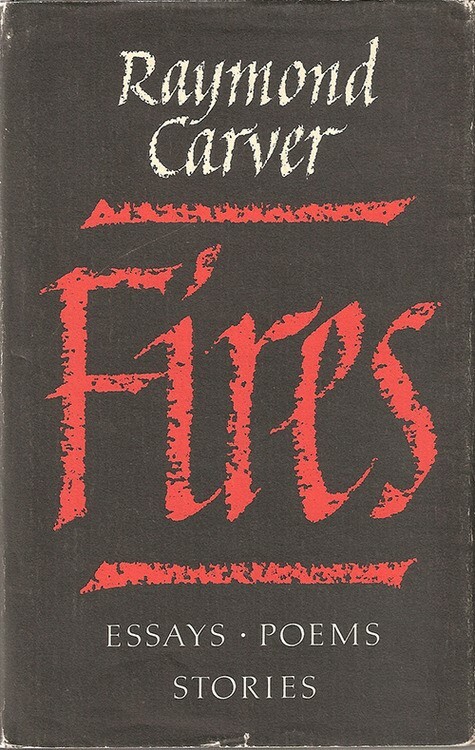 The most important influence in these years was Raymond Carver who's book 'Fires' I happened to pick up in a library where I worked. Here at last was somebody who seemed to speak the same 'working-class background' as I did as opposed to the Oxbridge voices. From then on I've tried to write about things that affect me as honestly and as well as I can. The very title 'Diesel on Gravel' the last section stands in my mind for the weight of U.S. culture on Britain and hopefully we can sort the good from the bad. 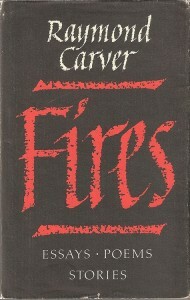 Carver and the 'dirty realism' being one of the 'goods'. Looking back through this work it actually seems to make a bit more sense than it did before and I realise just how important my background is in what I'm writing about. The cast of poachers and ne'er do wells and village idiots have become more, not less, important to me. 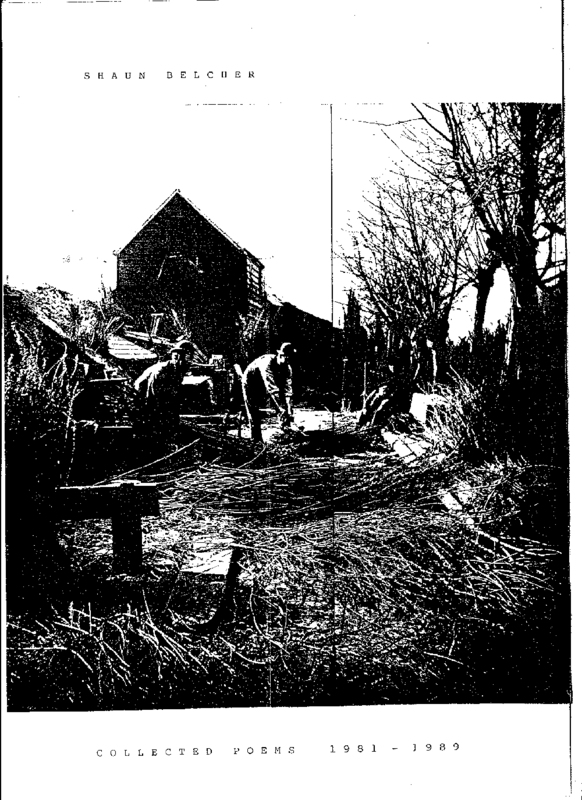 Perhaps because they exemplify a non-conformism which seems invisible in the Thames Valley today. All writing is political. I come from a background of labour politics and WEA learning. Education was the guiding light. Words are power. Nothing is more important as we approach the next turning point in British politics. Time me thinks for some rick-burning and protesting in the shires. Time for some smashing of the loom of words.